Charles Brox Jr. of Punta Gorda, Fla. was a “Citizen-Soldier” in the U.S. Army Reserves for almost 30 years. He retired a full colonel and commander of the 1209th Garrison Command, headquartered in New York State. His military life began in 1953 when he entered Norwich University, the oldest private military university in the United States and the originator of the ROTC program in this country. Four years later he graduated from college and was commissioned a 2nd lieutenant in the tank corps. “In 1958 President Dwight Eisenhower sent the Marines into Beirut, Lebanon. He was about to send our tank unit there, too, and then changed his mind and called it off,” Brox recalled decades later at his Punta Gorda Isles home. 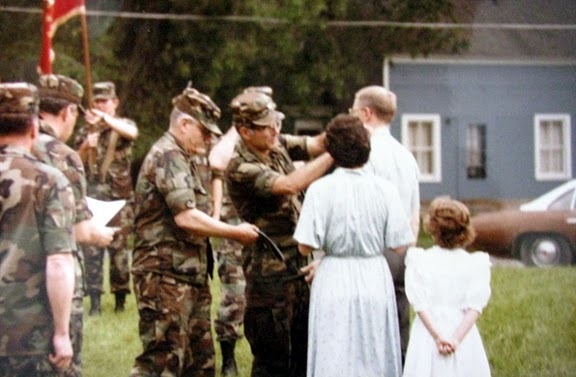 “By then Congress established the Reserve Forces Act which reduced active duty from two years to six months. “After four years of military school and six months of active duty in the Army I decided full-time military life wasn’t for me,” he said. “I was big on the concept of producing ‘Citizen-Soldiers.’ If you need me call on me, but otherwise leave me alone as a civilian,” he explained. By this time Brox had become a salesman for Mobil Oil Co. in the New York area. About the same time he joined the 205th Tank Battalion in Fern, N.Y. He was a platoon leader and a 1st lieutenant. A short while later he was transferred to Utica, N.Y. when he received a job promotion with Mobil. 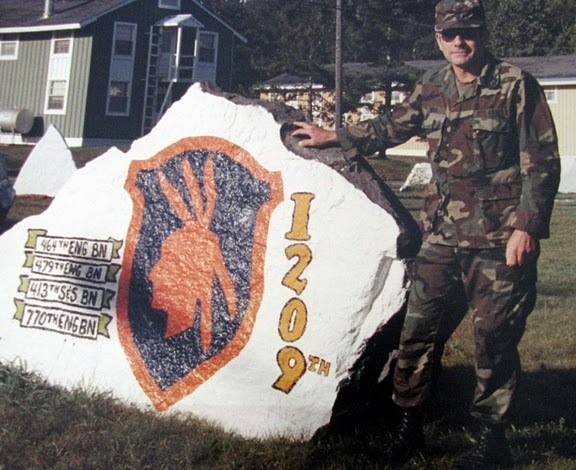 It was there he joined the 479th Engineering Battalion in nearby Canton, N.Y.
Because he was never home, he was always on the road for Mobil, his wife, Carolyn, decided to go back to collage. She received her Bachelor’s and Master’s degree in English from Potsdam State College in Potsdam, N.Y. He was about to be transferred again by Mobil. This time they were going to send him to Kansas. Brox didn’t want to go and he decided to quit Mobil. “I went back to college myself and got a Master’s degree from St. Lawrence University in psychology and counseling,” he said. 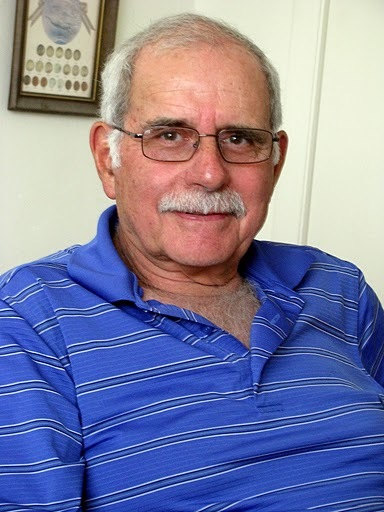 “I got a job teaching at Jefferson Community College in Watertown N.Y. in 1965. I taught psychology and started a counseling center. About the same time he transferred his military connections to the headquarters unit of the 479th Engineering Battalion located in Watertown. It was at this point Brox realized that if he was going increase his rank in the military he would have to take the courses required of regular Army soldiers.. He got a three months leave of absence from Jefferson where he was teaching and signed up for three months at the Army’s Basic Engineer School located at Fort Belvoir, Va. After graduation he returned to the headquarters of the 479th as the battalion’s training officer and resumed his teaching career at Jefferson. That summer the battalion trained at Fort Drum, close to Watertown near where all the officers in the headquarters unit lived. When the unit went out in the field instead of spending a few days in tents roughing it they snuck out at night and went home. “It just happened Maj. Gen. George Patton Jr., son of the fabled World War II tank commander, flew into Fort Drum to spend the night with the soldiers of the 479th. When the general woke up the next morning the headquarters staff was no where to be found,” Brox said. “Patton was hacked and he put the unit on probation. It had a year to shape up or the outfit would have its flag moved to another state. The 800 members of the Reserve Battalion would lose their positions,” he said. Brox got the job done and took over the battalion. Three years later while his outfit was on field maneuvers at Indiantown Gap, Pa. it got hit by a severe thunder and lightening storm. “There was lots of thunder, rain and high winds. The rain was blowing so hard it was parallel to the ground when the lightening hit. In five minutes i had one person killed and 11 injured by lightening strikes,” he said. Brox made full colonel shortly after transferring to the 1209th Garrison Command in 1983. 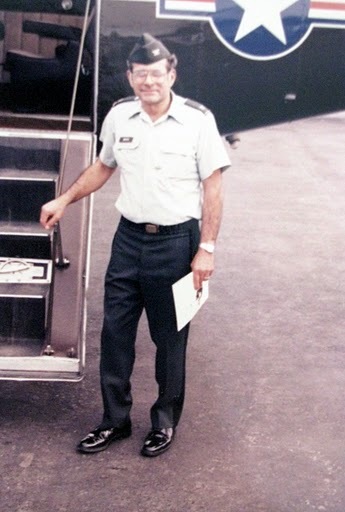 “I was flying in a Huey helicopter to make a command inspection with four of my staff members. We were en route to inspect the 464th Engineer Battalion at Albany, N,Y. flying at 1,500 feet. I was in the command seat between the pilot and copilot. “He went into auto rotation. This slowed our descent pretty well. Problem was, we were drifting toward some high voltage electric lines. If we had hit the lines the copter would have caught fire and blown up,” he said. “The pilot changed the pitch on the blades, stalled the aircraft and it dropped straight down into a farm’s field. We hit the ground and several of us were injured. When the crew chief opened the door I could smell the nicest manure I’d ever smelled in my life. I realized I was still alive,” Brox said. Despite back injures, he got patched up and went back to his command where he served until 1987 when he retired from the Army after 30 years. He and his wife, Carolyn, came to Punta Gorda in 1999. They have two daughters, Sharon is a lawyer in Nashville, Tenn. and Kathy is a school teacher in Arkansas. This story was first printed in the Charlotte Sun newspaper, Port Charlotte, Florida on Thursday, May 19, 2011. It is republished with permission. Click here to view Brox’ Collection in the Library of Congress’ Veterans History Project. i was pleased to see this article about Charles Brox. He taught me much about Participant Management that has served me well the past 30 years. He helped me through my undergraduate degree at JCC. I went on to earn my doctorate and served as superintendent. Much of my success was due to the information I learned from Charlie. Hopefully, I will get to see him in the near future as we are moving to Punta Gorda this spring.